After four months of speculation, a consortium called Milco is offering Clover shareholders R25 per share – a 25% premium to Friday’s R20 closing price and valuing Clover at R4.8bn – and, if approved, will delist it from the JSE. The Milco consortium is led by Israel-based Central Bottling Company (CBC), which is offering to buy 59.5% of the SA food-drinks producer. JSE-listed Brimstone is offering to buy 15% of Clover’s shares at R25 each. Other members of the Milco consortium are Ploughshare Investments, which will buy 10.9%, and IncuBev, which will buy 8.3%. The food group’s share price jumped 19% to R23.80 on Monday morning after the JSE opened. CBC is a privately owned international food and beverage group whose subsidiary companies serve more than 160-million consumers worldwide, today’s statement said. “CBC is Israel’s leading manufacturer and distributor of beverages and, through its foreign subsidiaries, has manufacturing and distribution operations in Turkey, Romania, and Uzbekistan. IncuBev is an international business focused on the food and beverage sectors in sub-Saharan Africa. The shareholders of IncuBev comprise global executives with extensive knowledge, experience and relationships, both in sub-Saharan Africa and the rest of the world, in the dairy and non-alcoholic beverage industry. IncuBev has a network design with access to deep operational, private equity, banking and management consulting expertise, within sub-Saharan Africa and globally. Ploughshare is a privately owned, independent investment company that is part of a broader international investment group that has investments and expertise in retail, distribution and beverages. 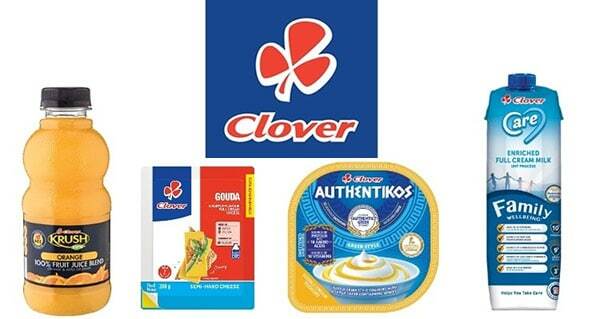 Milco believes that Clover presents a uniquely attractive investment given its expansive chilled distribution capability, strong market position for key brands and an experienced management team. Milco says, with its extensive knowledge of the dairy, juice and non-alcoholic beverage industries, it has the technical and research ability to bring healthier food to consumers, access to international brands, and connections and operating experience in sub-Saharan businesses, in addition to its proven commercial and trade abilities. Milco intends to combine its capabilities with those of Clover to unlock value through key strategic initiatives, primarily aimed at accelerating sales, distribution and efficiency opportunities within Clover’s product portfolio in South Africa, with expansion into select sub-Saharan Africa territories. Given the relatively low trading volumes in Clover Shares on the JSE and NSX, this offer, it notes, represents a compelling proposition and attractive opportunity for Shareholders to realise value in cash and to divest of their Clover shares at a substantial premium to the current share price.